Hilary Murphy Ph.D. is a licensed clinical psychologist and formally trained pediatric neuropsychologist with a specialization in the neuropsychological assessment of neurodevelopmental and neuro-medical disorders. Dr. Murphy has extensive experience evaluating children, adolescents, and young adults. As part of her training, she participated in interdisciplinary treatment teams, on an inpatient and outpatient context, to treat clients presenting with a variety of neurological, neurodevelopmental, and psychological needs. Her training in school psychology provides her with expertise in collaborating and consulting with educators and other professionals to develop comprehensive, individualized educational and treatment plans. 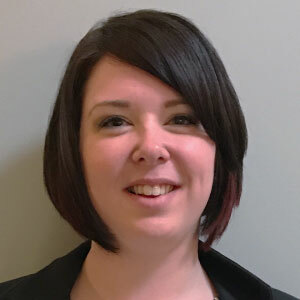 She adopts a multi-faceted approach to neuropsychological assessment, which takes an individual’s culture, social-emotional functioning, cognitive profile, and academic performance, into account to develop a holistic understanding of each patient’s unique presentation. Her areas of expertise include Attention-Deficit-Hyperactivity Disorder (ADHD), dyslexia and other specific learning disabilities, Traumatic Brain Injury (TBI), concussion, epilepsy, neuro-oncology and late effects of chemotherapy, stroke, and developmental disabilities. Dr. Murphy obtained her doctoral degree in School Psychology from Fordham University. She completed a consortium-style neuropsychology internship, splitting her time between the Comprehensive Epilepsy Center of NYU Langone and Mount Sinai’s Center for Cognitive Health. She then completed a two-year fellowship in pediatric neuropsychology at NYU Langone Rusk Institute of Rehabilitation Medicine. Over the course of her training, she has worked with patient populations across the lifespan, from toddlers to geriatric individuals, presenting with ADHD, learning disabilities, epilepsy, autism spectrum disorder, intellectual disability, brain injury and concussion, neuro-oncology, multiple sclerosis, cerebral palsy, movement disorders, Alzheimer’s and dementia, as well as behavioral and psychiatric disorders. She previously served as an adjunct professor for Fordham University’s Graduate School of Education and has published research on the utility of specific neuropsychological measures on children with epilepsy.